It’s never been less expensive to start making your home smart: Today, GE begins taking pre-orders for the Link, a connected home light bulb that sells for just $14.97. 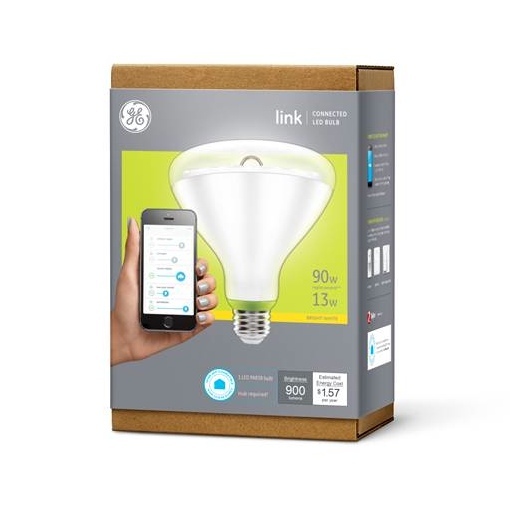 GE's smart bulb connects using the Quirky Wink app, the home automation app suite that powers other Quirky/GE smart devices like the Pivot Power Genius Surge Protector and the Aros window air conditioner. With Link, you'll be able to affordably control the lights in your house directly from your smartphone. Link offers dimming and a programmable sleep transition mode. Link comes in three different flavors: a 60-watt LED bulb for table and floor lamps, an indoor LED floodlight and a combination indoor and outdoor spotlight LED. Since they're LEDs, you shouldn't have to replace them for quite a while: They're rated to last nearly 23 years based on usage of three hours per day. The bulb won't be on store shelves until Fall 2014. Still, if you're absolutely convinced the GE Link is for you, you can head over to the Home Depot website where pre-orders start today, June 30, 2014.